AfriScout revolutionizes the way pastoralists find pasture and water for their animals using the power of satellite and mobile technology. After several years of development and rigorous testing, AfriScout was officially launched as a social enterprise in Kenya in 2017. To date, we have mapped 29 areas in Ethiopia, Tanzania, and Kenya covering over 239,000 km2 of traditional grazing land. Over 225 million nomadic pastoralists across the African drylands are facing dramatic changes in climate. Erratic weather patterns and prolonged droughts are compromising their basic, traditional methods for finding adequate pasture and water to migrate their livestock to seasonally. With limited field of vision and predictive capacity, over 30% of their herds are dying every year, draining the wealth from the community and causing them to turn to negative coping strategies that contribute to conflict and land degradation. AfriScout helps pastoralists adapt to climate change by providing them satellite imagery on forage and water availability and crowdsourced data on grazing hazards—all localized to their communal grazing areas. With AfriScout, pastoralists can make more precise and cost-effective migration decisions, improve pasture management and collaboration, and reduce conflict and the risk of herd loss. A 2018 study by Fordham University found an average user gains a net benefit of $4,356 when compared to non-users. This innovation is for the quarter billion pastoralists who inhabit the drylands of Sub-Saharan Africa. They depend on pastoralism to sustain their environmentally important grasslands, feed the nation, and contribute to economic growth. Environmentally, pastoralism and herd mobility has proven critical to biodiversity and healthy rangeland ecosystems. Relative to traditional farming in the drylands, pastoralism provides a net carbon sequestration benefit. Economically, livestock sales contribute 60-85% of total pastoral household income in Africa. The AfriScout mobile app provides pastoralists with digital grazing maps on forage and water availability specific to their community. While masking conditions on areas outside accepted traditional grazing lands, it significantly expands the user’s field of vision within their grazing areas. This improves capacity for pasture management within while deterring excursions outside of accepted grazing areas that can lead to conflict. Users can also monitor past forage conditions so that they can analyze climatic changes in their local areas over time. 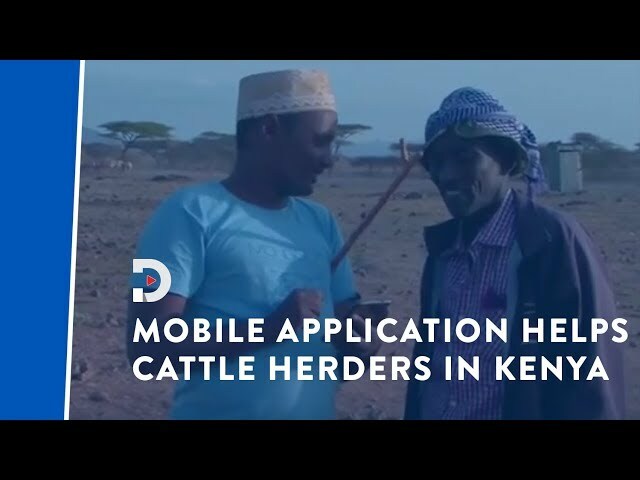 In addition, the unique crowd-sourcing system of geolocated alerts enables pastoralists to enhance collaboration on land management and warn each other about potential conflict, animal disease, or other matters that may impact the safety and security of their herd and their families. The app is backwards compatible to all Android operating systems, is fully functional offline, and available in five regional dialects. 93% Observed decreases in mortality; 4 in 10 observed decreases of 50% or more. The AfriScout app is the world's first app providing relevant digital content made for pastoralists. It was designed with pastoralists for pastoralists. We provide specific, local information that complements and respects existing community structures and decision-making processes. The app design and visual language are for anyone with any level of experience with technology. The map information is accurate and available, despite network, energy, data, and battery constraints. To increase the value of the product and further improve resiliency, AfriScout is partnering with livestock insurance providers in Kenya to bundle, commercialize, and expand our collective services—offering a continuum of risk-management throughout the year. This new public-private partnership has the potential to sustainably increase not only food and livelihood security, but physical security as well. With better data for decision-making coupled with asset protection, pastoral households are less likely to engage in negative coping mechanisms such as overgrazing depleted pastures, distressed sales, incursions into non-traditional grazing lands, and reducing food intake. Devex - Is your NGO leveraging satellite imagery the right way?